My thoughts: First, the disclaimer. "I was provided a free copy of this book. All opinions are my own." That done, TRANQUILITY: A PRAYER AND REFLECTION COLORING JOURNAL includes prayers and a verse for each entry along with coloring pictures for you to calm yourself, destress, or pray while coloring. Lines are included for thoughts, prayer requests, and more. There are even parts where the author encourages you to draw your own pictures. 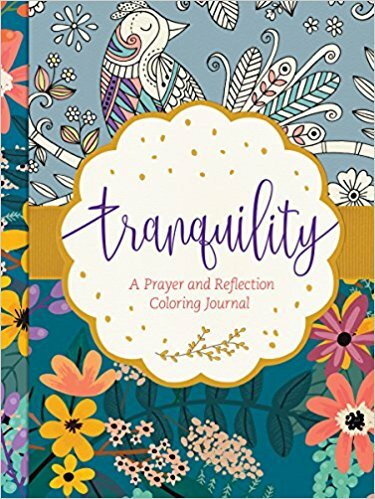 If you are looking for a prayer and coloring journal then TRANQUILITY will be a good one to consider. It would be good for an Easter gift, a mother's day gift, a birthday gift, or an anytime gift for your favorite woman or girl. My tween daughter was quick to claim my copy, so any age, tween to senior citizen, will love this. Recommended. Sounds like a perfect one to use with lines to record thoughts and prayer requests. sounds like something I would like to have and keep to record my thoughts, and to be able to look back on later. Good for any artist who want to journal in the same book.